Electronic Arts has launched the life-simulation game that everyone loves onto mobile devices. 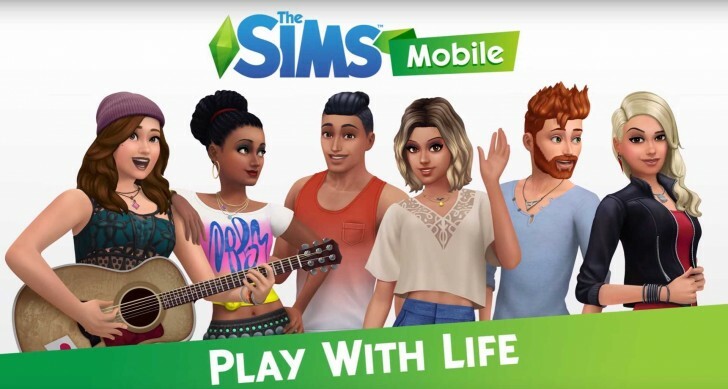 The Sims Mobile is based on the PC version of The Sims 4, and includes all the favorite features like creating your character, building your dream house and maintaining a career, family and social status. The game is now available in Brazil and should roll out globally soon. The game is expected to keep its free-to-play model, and a video teaser suggests an additional social option where you can play with your friends and become BFFs inside the game. The Sims Mobile isn’t the first time EA tried to bring the game series to a mobile phone. Back in 2011, The Sims Freeplay was launched on iOS, and later that year The Sims Social appeared on Facebook. Both were shut down by 2013 due to various reasons - for example, The Sims Social didn’t allow you to control an entire family, and you had to stick to only one character. The Sims 4 for PC is the most successful part of the Sims series. Electronic Arts boasted yesterday that the monthly active user base jumped 33% year-over-year. We'll see if the company manages to replicate that success on mobile though. Why after i download when open those beside display ware gone..help me! !